Hello there, welcome to Across The Universe.Net, Usagi's collective and personal domain, a portal to many of her favorite things. 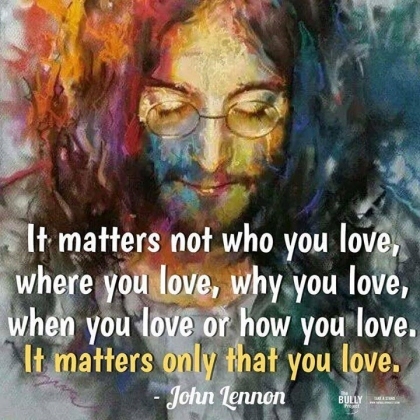 The name Across The Universe, comes from a beautiful song called "Across The Universe" performed by The Beatles, written by the amazing John Lennon whom I adore from the bottom of my heart, loving him and his music, since I was a little girl. Please take a look around using the menu above to navigate through the site. You can also click the images in the header; Usagi and Mamoru to visit their fansite/fanlisting, John to visit his fansite/fanlisting (both open in a new window) and "across the universe" for the home page. I have many different interests, with a huge passion for music and art, as you will hopefully get a sense of during your stay here. I have big plans for this domain and I would like to add a lot of different things, so during your visit you should find something here that interests you, enjoy your stay! August 09, 2018 : I just recently finished revamping Usagi and Mamoru's Universe for it's 17 year anniversary!! Hard to believe UMU has been online for 17 years already!! Time flies. July 04, 2018 : Happy 4th of July! !